Jianna Duberry a high school junior that does cheer and has big plans after high school. “I have done cheer ever since I was 4 years old and started doing competitive cheer ever since I was 6 years old. My mom had just put me in cheer and I just fell in love with it,” Jianna Duberry said. She wants to do something big after she graduates from high school and wants to get a degree into biology. She might want to do cheer in college but she is more focus on looking for a good school for science and the most information. “I was thinking about graduating early but then I wanted to stay for cheer and stay all four years. I want to go to a good college so I can get my degree in biology so I can become an anesthesiologist and make a career out of learning science,” Duberry said. She has always been interested in anesthesiologist because of her mom having a job with being in a hospital. She had always looked up to her mom and wants to follow her mom’s footsteps. She has been taking three challenging science classes and even so she has straight A’s. She wants to keep her grades top-notch so when colleges look at her record they can pick her and she can get a good education and become an anesthesiologist. “I take three science classes medical interventions, AP psychology, and college chemistry. They are pretty hard because one is a college credit and with all the science classes I’m taking, you have to be able to listen well and make sure you know what you are doing,” Duberry said. 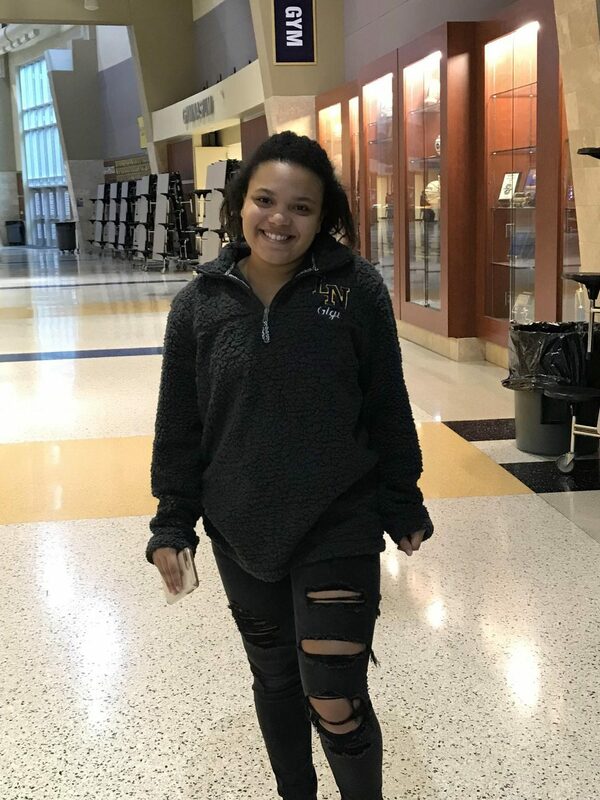 Duberry can’t wait to graduate, but at the same time, she doesn’t want to leave school and go on into the real world and go to college and get a job. She wants to follow her mom’s footsteps. “I can’t wait to get out and graduate but at the same time I don’t want to leave and go into the real world, it is a big deal for everyone when they go into the real world. I hope to go to college learn more about science and start to follow my mom’s footsteps,” Duberry said. Duberry has a best friend ever since kindergarten; they do things together when they are not busy. Emma Angle will always be in her life through everything. Jianna recently was in a car accident and Emma was right by her side through some things that happened. “I have been friends with Jiana for 13 years, we like to hang out together. What we like to do when we hang out is watch movies, listen to music in the car, going to get food. But we have to get plain food because Jianna only wants to eat plain food and she’s always been like that. Jianna had gotten into a car crash this summer and had to get a new car. She didn’t get hurt at all but I was there for her,” Emma Angle said.